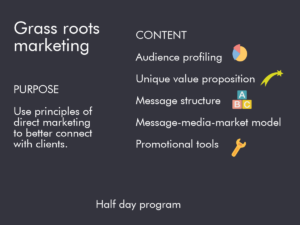 The Grass Roots Marketing workshop will enable your team to understand the key marketing principles used in relationship building and how to apply them. 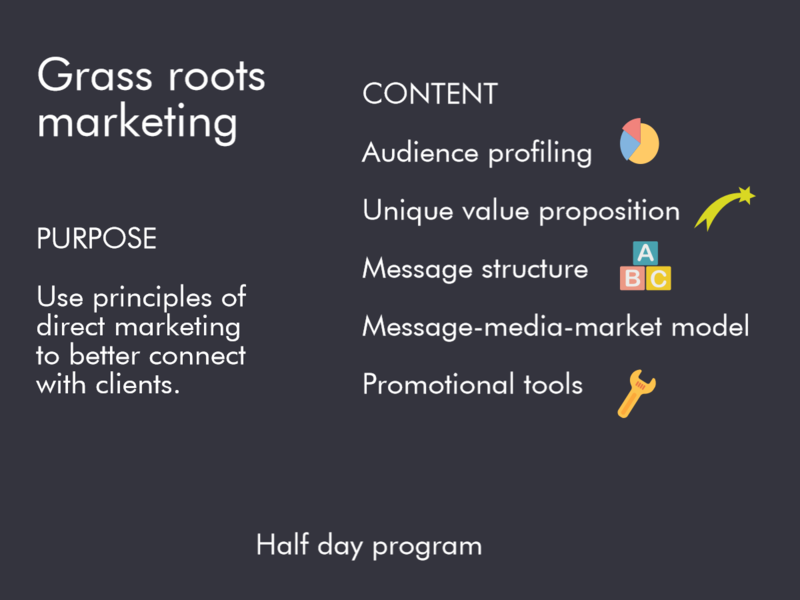 Make their project (even more) interesting to clients and potential clients. Contact Andrew to arrange a strategy session to discuss the needs of your team.